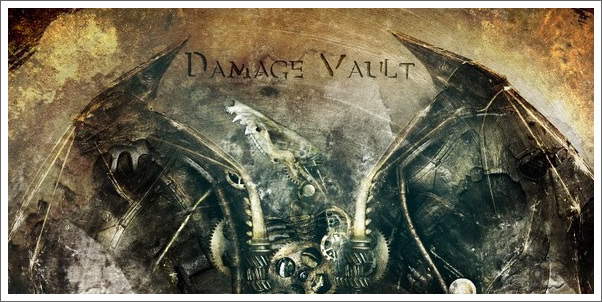 Game Composer Kevin Riepl (Gears of War) and Producer Otto Cate (Deprogrammed) are proud to unveil their mysterious new project “DAMAGE VAULT” during PAX 2009. Starting 9/4/2009, a free MP3 download entitled “PASSAGE” will be made available to the general public, which gives audiences a sneak preview of the upcoming self-titled album, set to drop October 31, 2009. DAMAGE VAULT is a new trans-media entity, started by Kevin Riepl and Otto Cate, that provides cutting edge sonic experiences for a multitude of media outlets – including, but not limited to, film/tv/advertising, and video games. KEVIN RIEPL’S music has enhanced the visual mediums of television, films, and most notably, video games. Riepl’s themes range from energetic and rhythmic to emotive to simply macabre and other worldly. Fans of the highly praised Unreal series by Epic Games have been familiar with his work since 2002. It wasn’t until the hit game Gears of War that brought Riepl to the forefront of the video game music world. Currently Riepl is scoring independent films, two triple-A video game titles, one being "Aliens: Colonial Marines", and is also a Creative Director at Damage Vault, a music / media production entity. Kevin is represented worldwide for video game music by Gloria Soto, Soundelux DMG. OTTO CATE, who studied under Colorado Symphony percussionist Ted Small, has been spearheading independent projects in the Electronic, Industrial and Metal genres throughout his career. Otto has produced, and been involved with several remixes over the years of well known artists such as Amethystium, Atlas Plug, Celldweller, Contingence, and Pitchshifter. Currently Otto is a Creative Director at Damage Vault, a music / media production entity, and is represented worldwide for video game music by Bob Rice, Four Bars Intertainment.